Mudpipe Cafe has four outlets in Bengaluru, but their outlet in Koramangala just tops the others with its sheer ambience. Plus, they specialize in hookah, expect a bunch of unique flavours to be available. But I suggest you try some mild flavours as they are the best. Also, try their country lemonade, it's a delish refresher. In terms of food, we had Mexican salad, Caesar salad, bbq baby corn, mudpipe special sizzlers, coffee, paneer tikka, they were all really nice. Weekends are too crowded, so make sure you make reservations before you go there. No need to worry about parking here, so feel free to drive here. 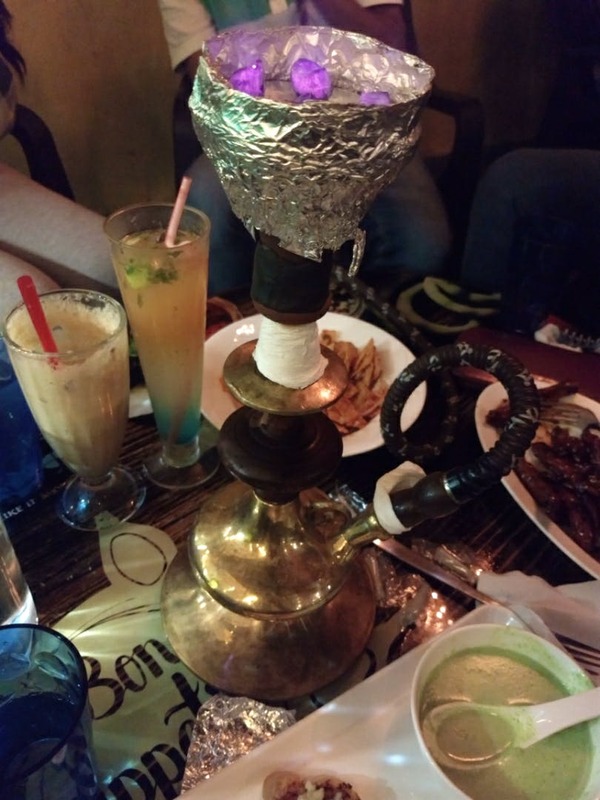 It's open beyond midnight, so a perfect hangout place with your friends, this is my favourite spot for hookah.